For the last 40 years, we've given welcoming, compassionate care to all who enter our doors. Help us continue to meet our mission and join us in celebration of our 40 years of groundbreaking community care! In 2017, Chase Brexton Health Care provided $3.7 million in uncompensated care to patients in need of support. Your sponsorship enables us to provide even more. Sponsorship opportunities provide a variety of benefits (outlined below), all while bringing care to your neighbors who need it most. 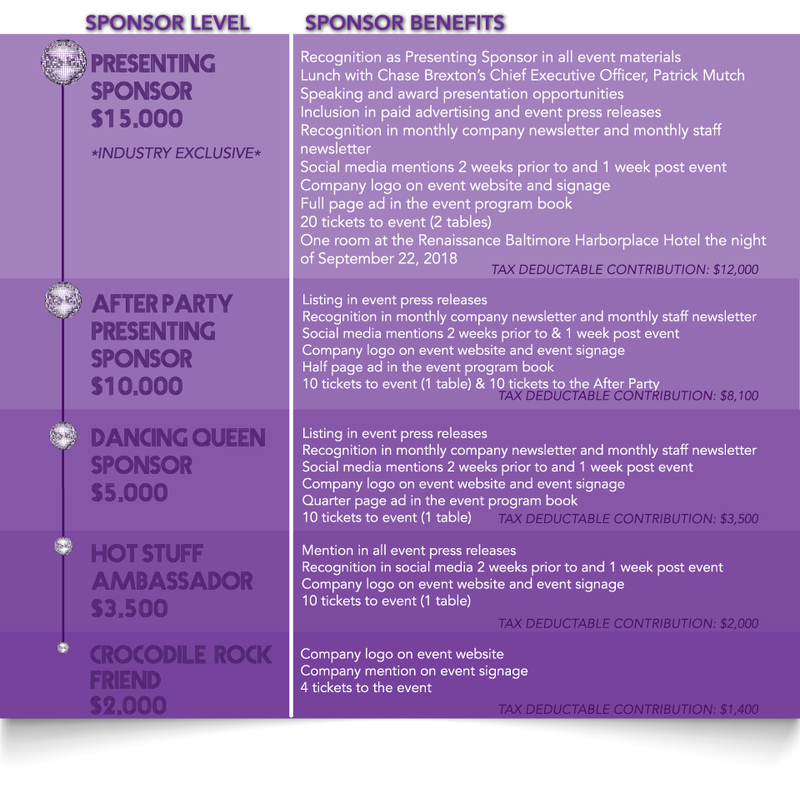 Ready to be a sponsor? Complete this form, download the sponsor packet, or contact Alexa Milanytch, Director of Development, at 410-837-2050 ext. 1144 or amilanytch@chasebrexton.org. Thank you to the many amazing organizations that have already become sponsors! This year’s Charm Ball program book presents a fantastic opportunity for businesses and individuals to support the mission of Chase Brexton while spreading the word about their own services. The program book will not only be a source of information for the event, but will also be a keepsake documenting the history of Chase Brexton and the events that shaped its 40 years of growth. Purchase your ad space now, download the rate card or, for more information, contact Kate Hull, Development Manager, at 410-837-2050, ext. 1034 or khull@chasebrexton.org. By sponsoring the Chase Brexton Charm Ball, you are helping to provide health care for Chase Brexton patients who are in-need and are living in your community.